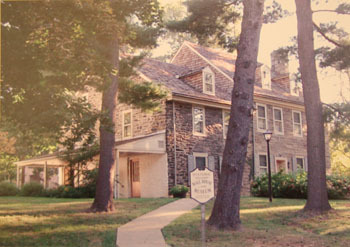 The Richard Wall House Museum is located in Elkins Park, Montgomery County, Pennsylvania. Richard Wall bought the land directly from William Penn and built a house on the property in 1682. Later, it would become a stop along the Underground Railroad. It is the house with the longest continuous family residency in the state of Pennsylvania (1682-1979). The Richard Wall House Museum is now under the auspices of the Cheltenham Township Historical Commission. Its archival holdings span approximately 20 linear feet and date from the mid-nineteenth to the twenty-first century, consisting of newspaper clippings, research notes, several different photographic types, scrapbooks, maps, ephemera, and a small amount of family papers. The collection documents the people, buildings, and organizations of Cheltenham Township and nearby areas.